A brain haemorrhage has many names like cerebral haemorrhage, intracranial haemorrhage, intracranial or cerebral hematoma and subarachnoid haemorrhage. It is caused due to the bursting of an artery in the brain resulting in heavy bleeding. The type of brain haemorrhage is determined from the region where it occurs. How does a Brain Haemorrhage occur? When bleeding takes place inside the skull it is called intracranial hemorrhage. If the bleeding takes place inside the brain it is an intracerebral hemorrhage. If the bleeding is between the brain and membranes covering it then it is referred as subarachnoid haemorrhage. If bleeding occurs between the brain covering and skull then it is a subdural or epidural hematoma. If bleeding is between the layers of the brain coverings which are very sensitive then person may experience sudden and severe headache. Bleeding causes death of brain cells. Amongst all stroke cases around 13% are of brain haemorrhage. Chronic high blood pressure if not treated can cause weakening of the blood vessel walls. Aneurysm which is weakening of the blood vessel wall. Due to swelling it can burst causing bleeding. Abnormalities in blood vessels present from the time of birth. Amyloid angiopathy which occurs with aging. Many small bleeds are caused initially which are unnoticed. Low blood platelets caused by Haemophilia and sickle cell anemia. A liver disease which generally causes risk of bleeding. The symptoms of a brain hemorrhage differ from person to person. Many factors play a role such as the severity of bleeding, the location of injury in the brain and amount of tissue damage. Symptoms can be seen suddenly or they may appear after some time. They may increase gradually or suddenly. If you have any of the symptoms of brain haemorrhage you should immediately consult your doctor. Your doctor will take a neurological test. Immediate evaluation of stroke can reveal the cause of brain haemorrhage. Other examinations are done to check speech, weakness or loss of consciousness. A simple and medically approved test (STR) is done for examining the patient. STR or Smile Talk Raise is a test which is easy and effective. The person is asked to smile, talk and raise his/her hand. If any abnormality occurs then the patient is likely to suffer a stroke. Computed tomography (CT) scan, in which images of the brain are created. It helps in easy by detection of skull fractures or bleeding. Magnetic resonance imaging (MRI) helps doctors to have a close and clear view of your brain for identifying the cause of bleeding. This type of imaging test may help your doctor to see the brain more clearly and identify the bleeding source. If the test shows internal bleeding then further tests may be advised to identify the cause of bleeding. In some cases, a lumbar puncture may be required to find out other problems in the brain. An angiogram is another test which uses X-ray technology for taking pictures of blood flow in an artery. Blood tests are done to find out immunity ailments, swelling or blood clotting problems that can lead to bleeding inside the brain. Patients need to be monitored very closely if bleeding is inside the brain. The initial step of treatment involves stabilizing the blood pressure and ensuring normal breathing. The ventilator can be made available to ensure enough oxygen supply to the brain and other vital organs of the body. Intravenous access is required so that patient can get fluids and medicines, especially in unconscious state. Special monitoring systems are needed for keeping track of the heart beats, blood oxygen levels, and intracranial pressure. Once the patient is stabilized, then doctors take a decision to operate the patient based on various factors. 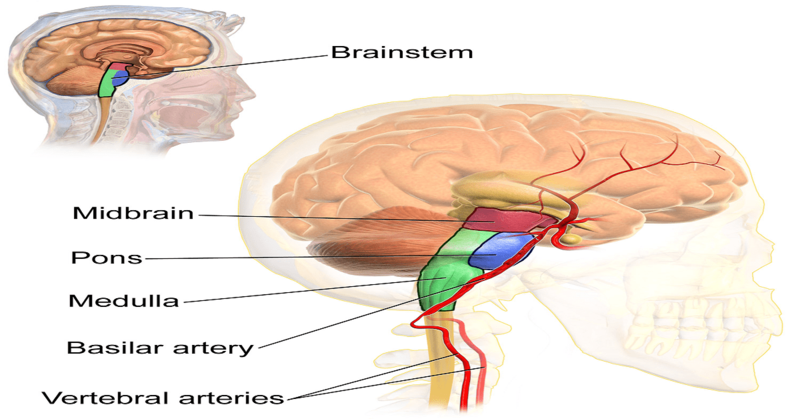 The decision for surgery of brain hemorrhage depends upon the size and location of haemorrhage. Not every patient with a brain haemorrhage needs a surgery. The treatment of the patient also depends upon the cause and extent of a brain haemorrhage. Surgery is done to treat the swelling and prevent further loss of blood. Doctors prescribe diuretics for curing swelling. Other medicines may include painkillers and corticosteroids. Anticonvulsants are needed for controlling seizures. The recovery depends upon the response given to the treatment by the patient's body. In most of the cases, patients recover completely. Death can also occur despite of medication in some cases. Long-term high blood pressure problem if not treated on time can lead to hypertensive intracerebral haemorrhage. Blood pressure when remains high for a very long period, it leads to weakening of the walls of blood vessels. Continuous high pressure on these walls cause damage to them and leads to blockage of the blood vessels or sometimes leakage of blood in the brain. Blood causes irritation in the brain tissues leading to swelling also known as cerebral edema. The collected blood forms a mass called A hematoma or hematoma. Swelling and hematoma inside the brain impart pressure on the brain gradually destroying it. Paralysis is one of the symptoms of a brain haemorrhage. The face, hand or leg of the patient is paralyzed many times just one side of the body before a stroke. A severe headache can be a sign of brain haemorrhage. Make yourself aware of the symptoms of brain haemorrhage and take fast medical treatment. Also, check your blood pressure regularly if you have fluctuating blood pressure. If you have any victim of brain haemorrhage make him/her lie down flat on the head and shoulder slightly raised. This is done to reduce the blood pressure in the brain. If the person becomes unconscious then roll him/her so that he/she can lie on the left side and try to pull the chin in forwarding direction. It opens the air passage and allows the vomit to come out. If the person is conscious speak positively with him/her and provides mental support as much as you can. Do not allow the person to eat or drink anything after a stroke. It can lead to paralysis of throat or choking. Once admitted to the hospital, the doctors can take care of the patient giving him/her proper treatment. Rehabilitation therapy is needed for brain haemorrhage patients after surgery or any treatment to help them lead a normal by relearning the everyday tasks. It also aims to help the survivor to adapt to problems arising after the attack, prevent any other complications and instruct the guardians on how to support the survivor. In many hospitals, a rehabilitation team is present with different skills to help the patients. These can be physicians, pharmacists, nurses, psychologists, physiotherapists along with speech and language therapists. Social workers also participate to treat patients from post-treatment depressions. Proper nursing care is essential even after discharge until the patient is independent. 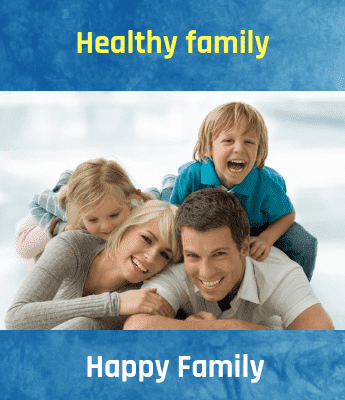 Skin care, timely feeding, correct positioning, monitoring temperature and blood pressure are some of the basic and important tasks to be carried out by the family members. Controlling blood pressure or hypertension. It has been found in a study that around 80% patients have high blood pressure history. Have a healthy diet and exercise regularly. Meditate daily to keep your mind peaceful. Stress can cause overexertion of a brain. Avoid drugs such as cocaine which can increase the risk of brain disorder. To avoid head injury drive carefully with your seatbelt on. For two-wheeler riders, helmets are a must. Have a correct cure for brain abnormalities on time. Go for surgeries if needed to avoid further complications like bleeding in the brain. Malignancies of the cells in the brain are the major cause of tumor. A brain tumor can develop at any age. There is no age bar for it.